sarcasm. sticky fingers. sales. spaghetti. 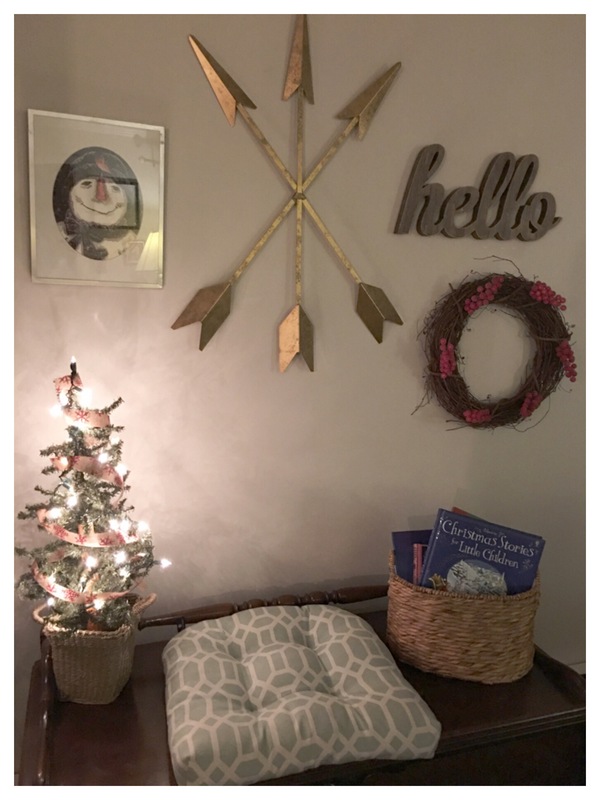 deck the halls on a budget! Jazz up your flower vase or old wine jug this season. Let’s start with wrapping paper! 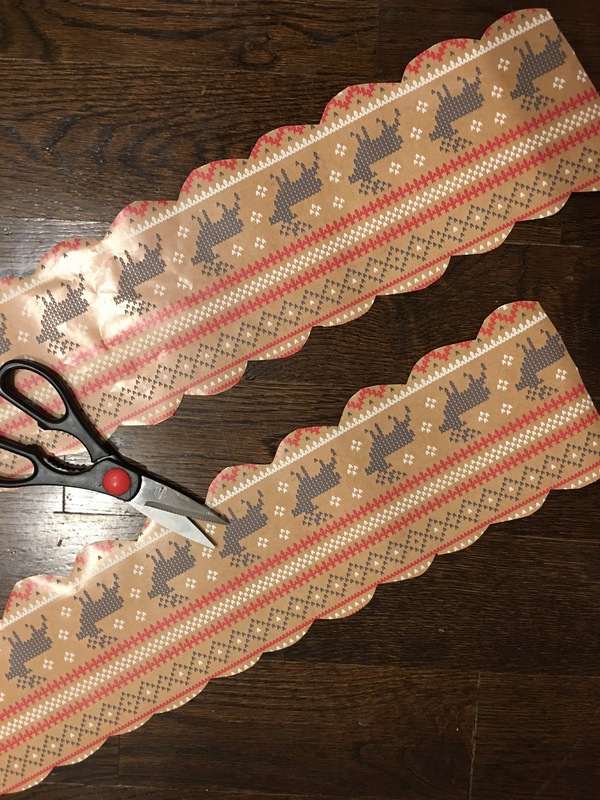 I’m sure you have some leftover from last year (like me)–but if not, grab a roll that’ll match your other décor and some scissors. 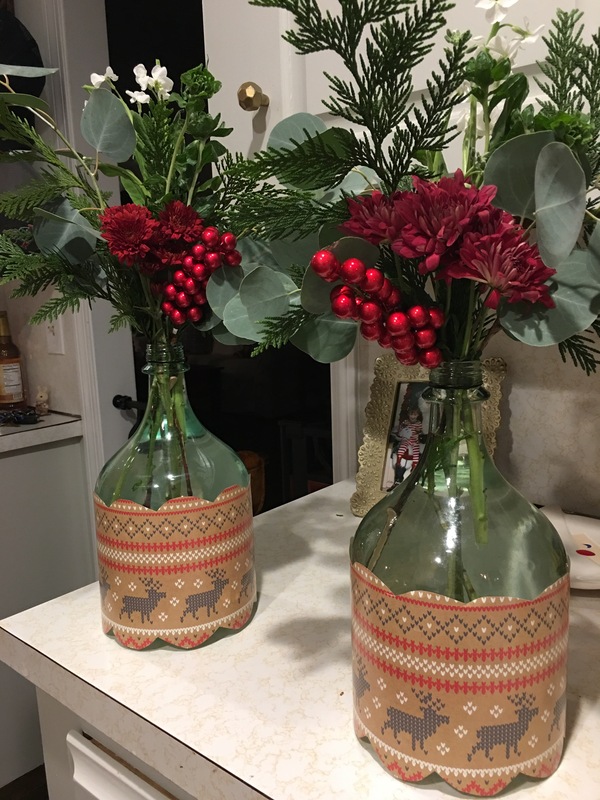 This year, I’m using old wine jugs I have to hold my centerpiece flowers. This is SO easy. I cut enough wrapping paper to wrap around the bottle and cover the label. I scalloped the edges and added one piece of tape (hidden) to secure it. Are you kidding me? So cute. Also–get your flowers at Trader Joe’s! 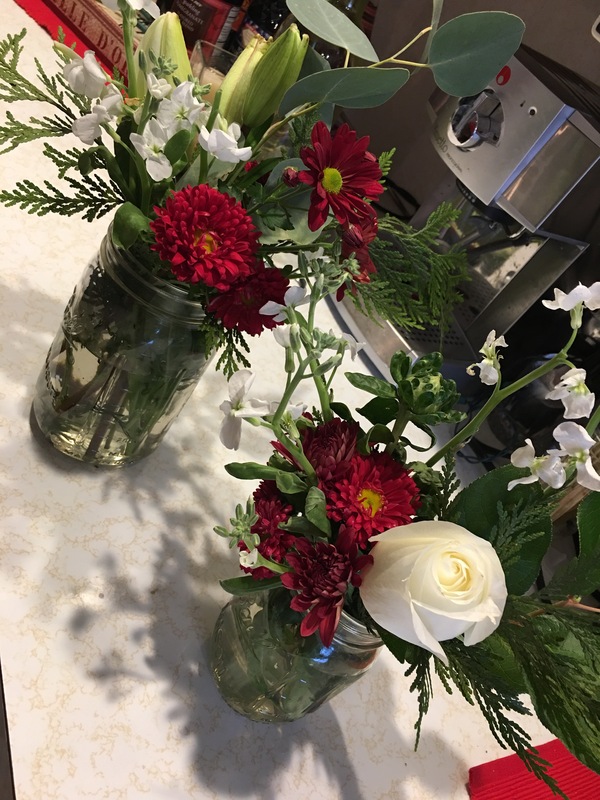 I did 6 vases full of greenery and red/white flowers for only $18! 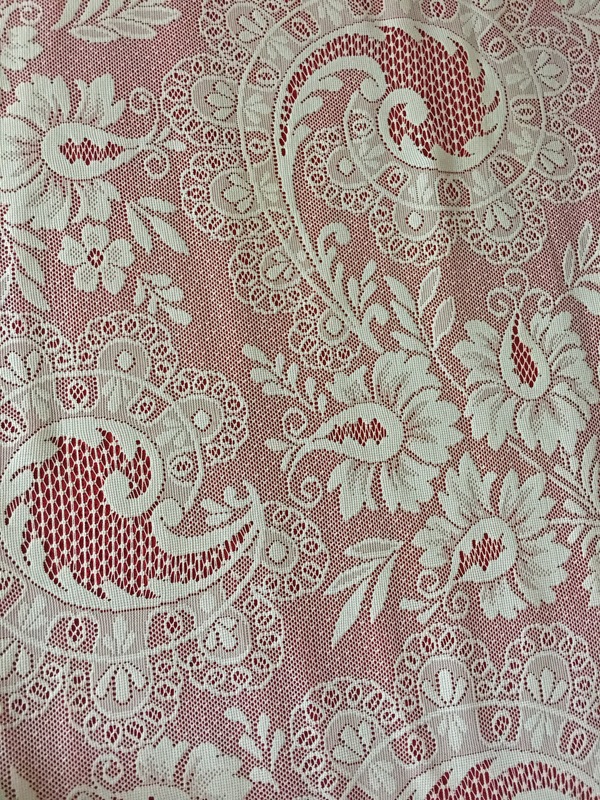 Do you have pretty pillows that are just NOT as festive as you’d like? PROBLEM SOLVED PEEPS. The trick is RIBBON! Hi, I’m precious, nice to meet you. 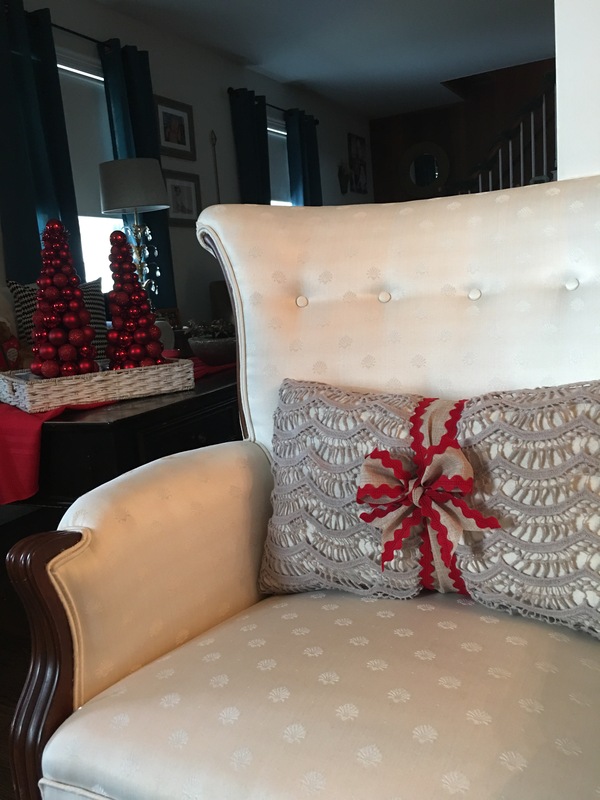 Tie a bow of holiday ribbon around your decorative pillow for a simple, easy way to kick it up for the holidays. Don’t worry, your kids will notice the bow and try chewing/ripping it off! (Sigh). GET YOUR RIBBON ON SALE! I grabbed all of my ribbon at Michael’s for 70% off a week ago!! 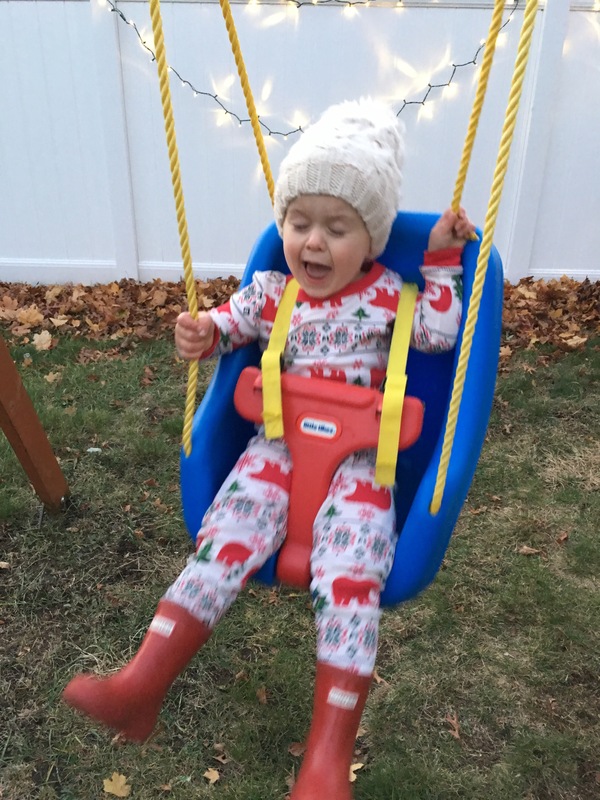 Totally worth it to download the Michael’s and Joann app, because between their 50% off a regular item coupons, and weekly ads– you save a ton. So this way, when you buy a REDONCULOUS amount of red and green sparkly items you don’t get in trouble. Ha. Easy and adorable. 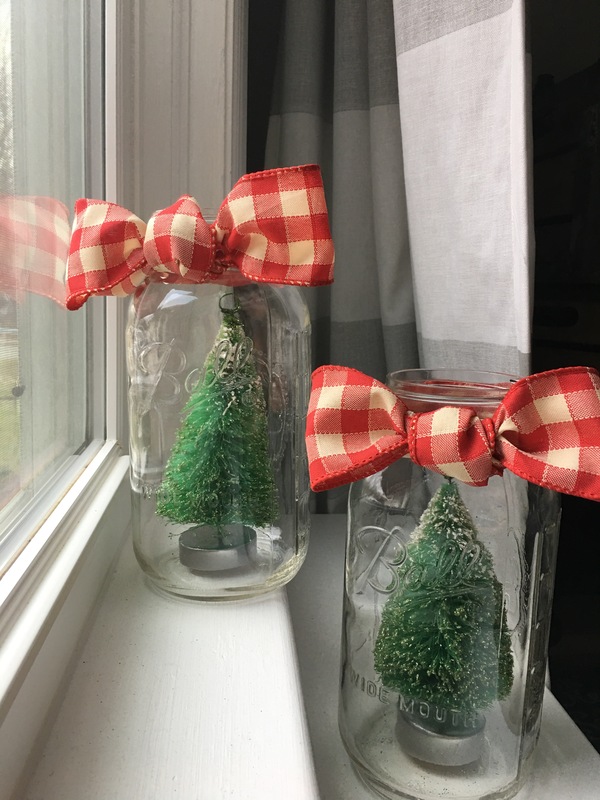 Plop a small decorative tree into a mason jar and top with a ribbon bow. Done! If you put them on a window sill, the natural light goes right through the glass jar, and at night move them over to a table or counter top! Use what you already have to jazz up a window. Everyone has mason jars–right?? 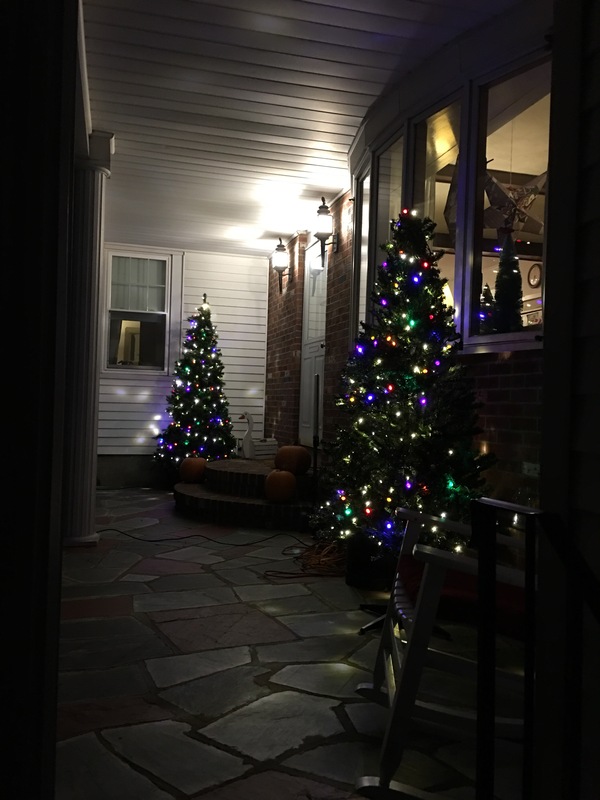 (And if you listened to me and downloaded the apps-you’ll have the trees and ribbon too, super cheap–off a coupon) My trees are a few years old, but I’ve seen them on their shelves this year again! You can do SO much with ribbon. Besides top off your wrapped boxes, of course. The mason jar strikes again! Use what you have, and add ribbon! 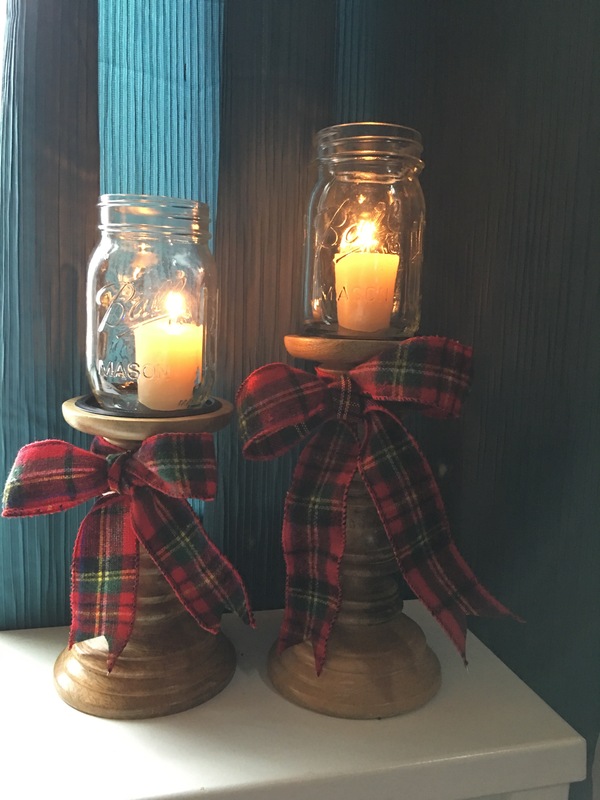 We had mason jars and pillars-add a ribbon bow and a votive to instantly bring the look into the season! Check end of season sales. 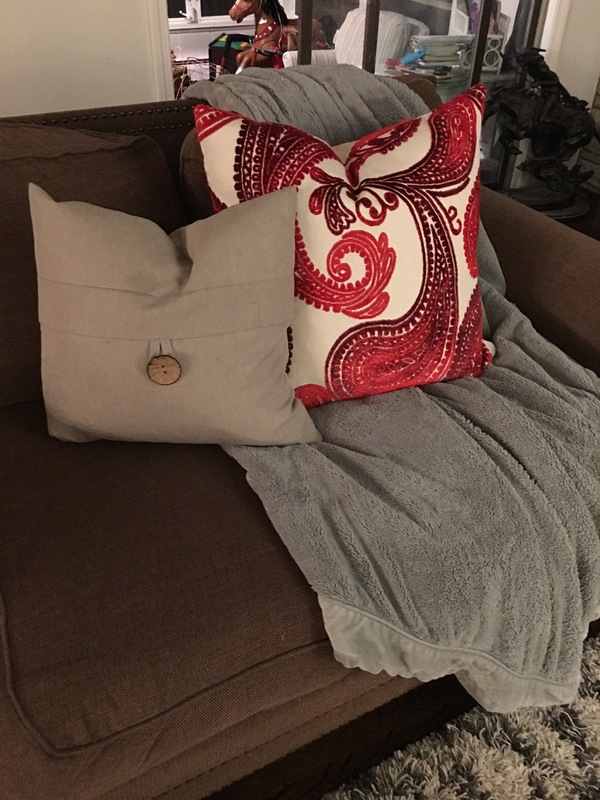 I bought this GORGEOUS velvet paisley holiday pillow last year at Homegoods marked from $39.99 to $18! 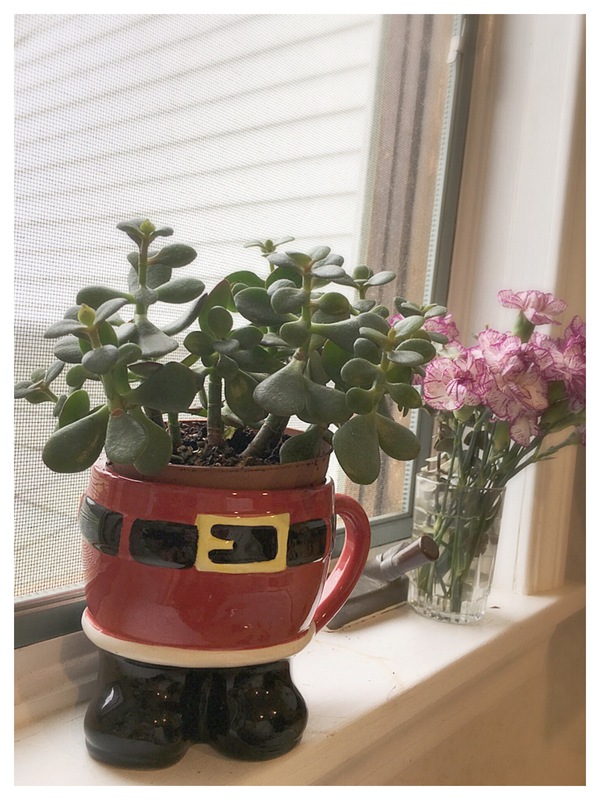 I brought it out to add a pop of red to my living room this year. 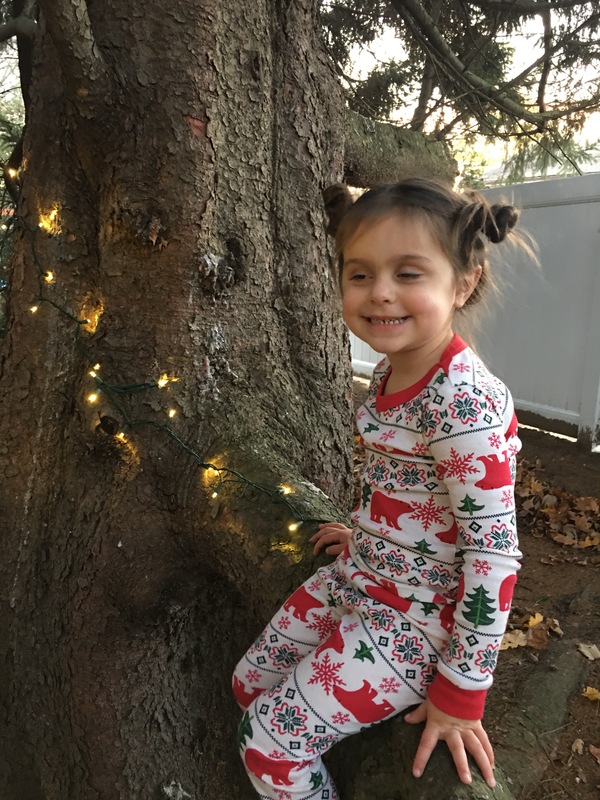 Use LED lights ONLY outside to save some dough on the good old DECEMBER electric bill. I bought these colored LED’s after Christmas last year and the white LED’s at Home Depot on Black Friday this year! Both were $15-18 a box and were purchased $2.50-5.88 a box. Thumbs upppppp. I’m not a huge colored light fan, but mixed with the white- I’m lovin’ it. See those pumpkins of the step? They’re getting spray painted white and turned into a snowman. Wait for it. 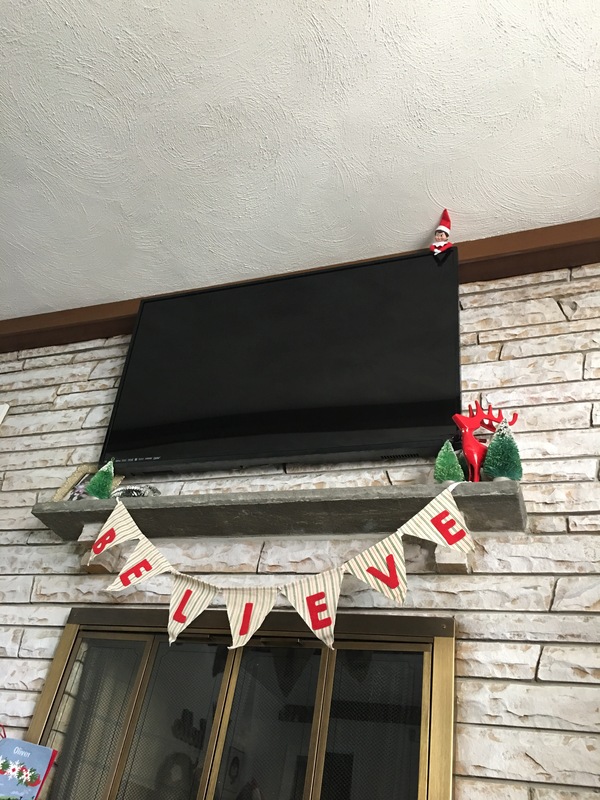 $3 believe banner at target is adorable hanging right over where Santa shows up! Even the grinch has an extra 3 bucks. Cheaper to buy this one, than to make it! Right at the front of the store with the other $1, and $5 treasures. Sending Christmas Cards? GROUPON! We have done Staples these last 3 years. This year, we paid $24 for 75 cards! Huge savings, and they come out great. Loads of design choices, too. Outside the fact that the website was glitchy last night, we’ll be sending ours soon! 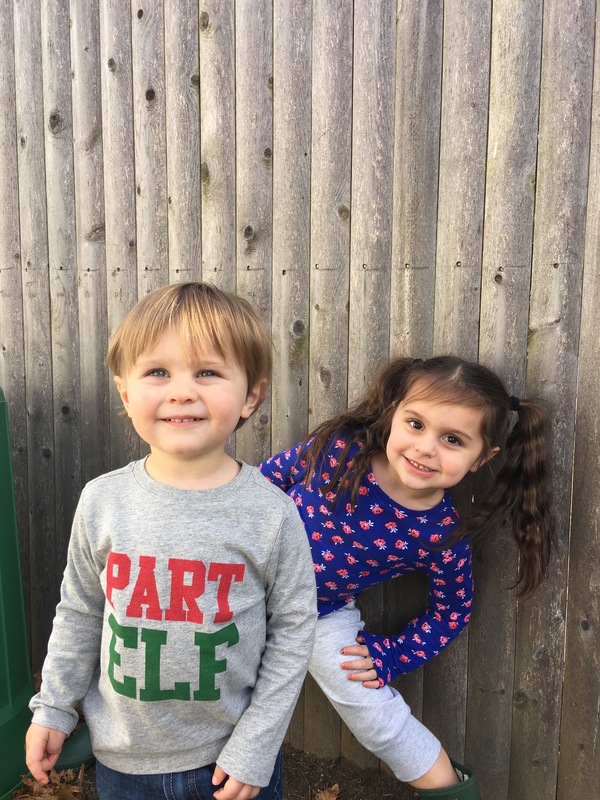 Ollie’s silly festive shirt was $3 at old navy! They had loads of their holiday looking clothing on sale for 50% off. Penels shirt was $5! Switch out the items on an accent wall. I threw some lights and ribbon on this artificial tree we’ve had, stuck it in a basket and it looks great plopped on my hope chest. Replaced a turkey picture, with a snowman picture, and added some berry twigs to my wreath. (Berry twigs were $0.59 at Michael’s, too!) Filled the basket with the kids Christmas books, and we’re good! 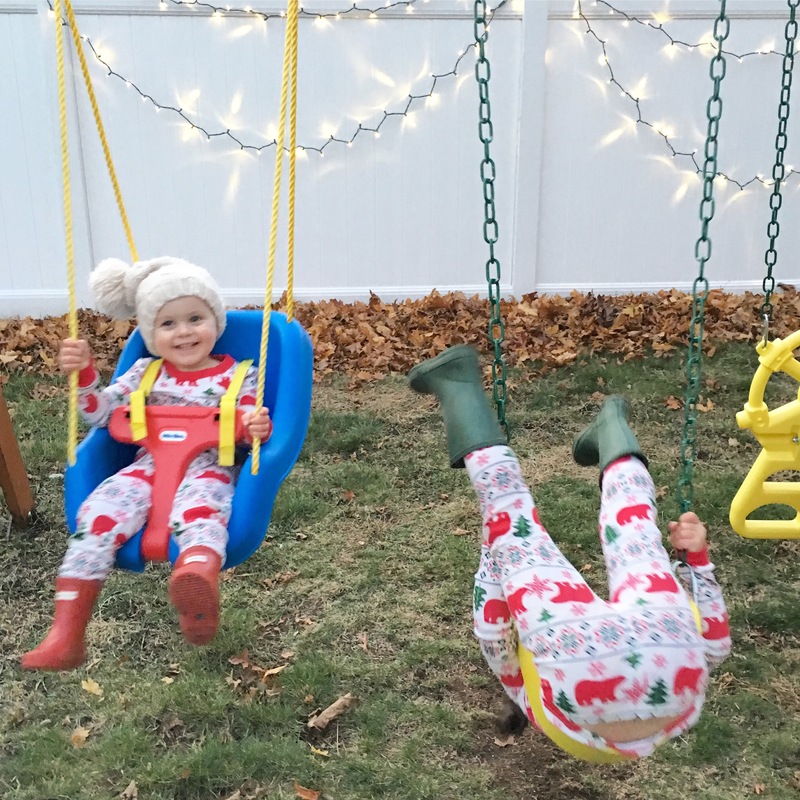 Check TJ MAXX for matching sibling JAMMIES! Got these there for $7.99 and 9.99 regular price, and they are almost EXACTLY one of this years “Hanna” styles! 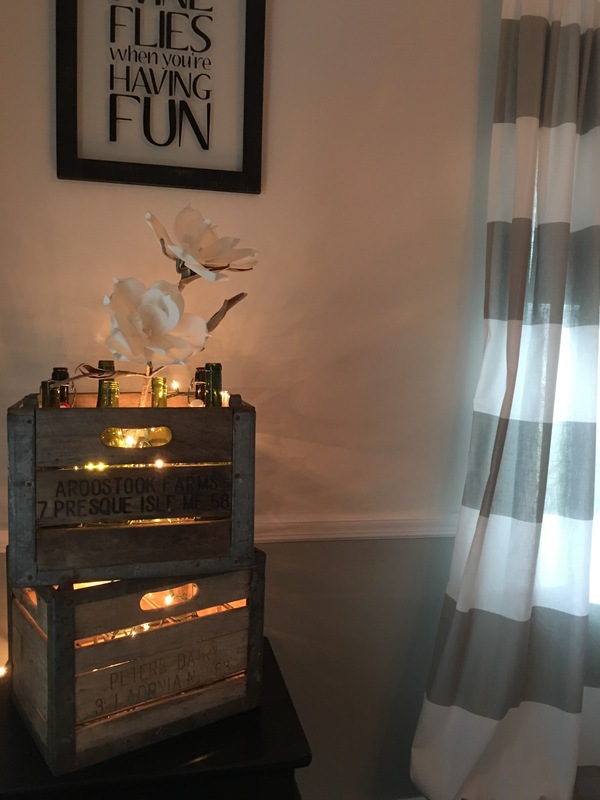 Make your antique crates shine this season! No corner left behind. I needed something for this area of the dining room, so I added a string of lights to the inside of my vintage crates. Now they glow. Friggan cuteness. Simple and elegant! 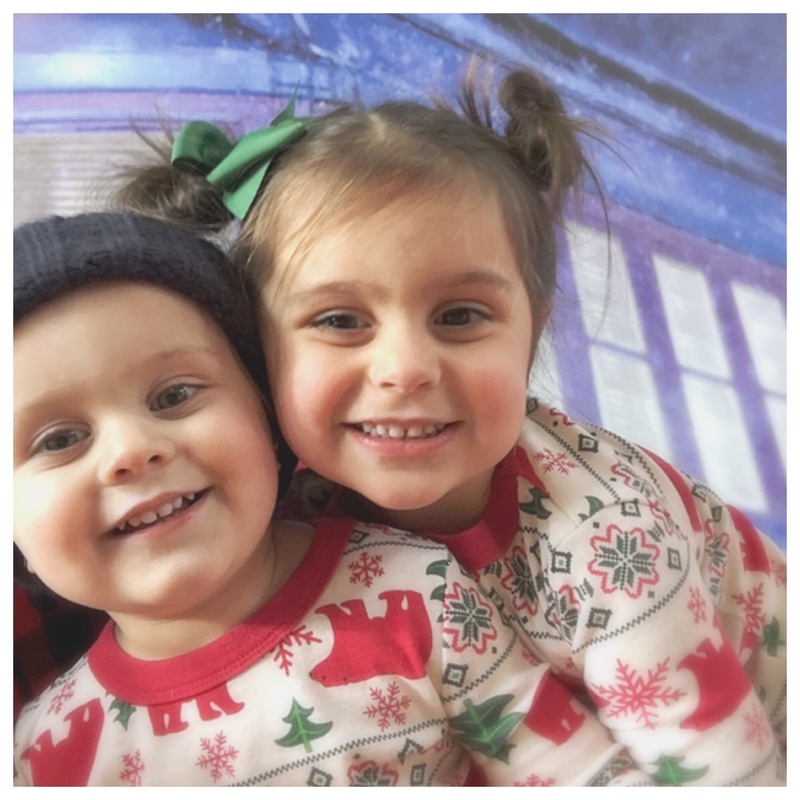 Have toddlers who are nosing around the gifts under the tree? Fake them! 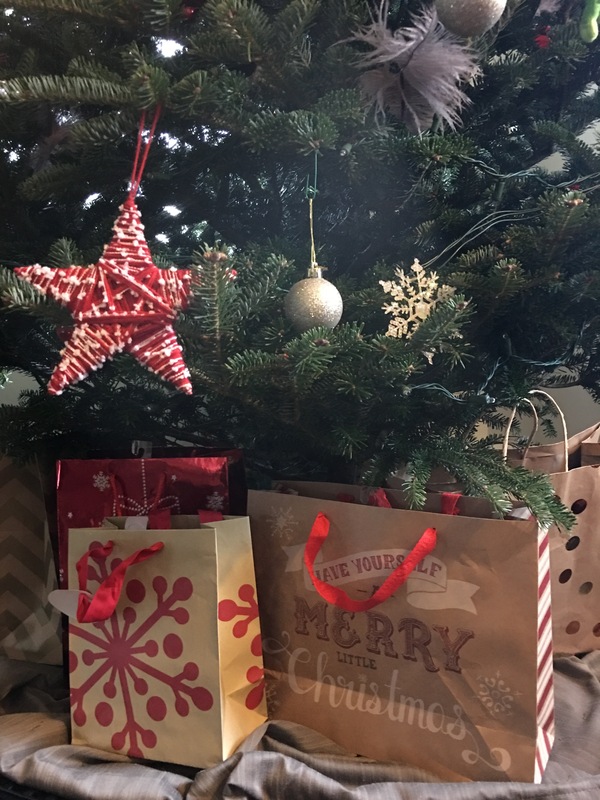 Put giftbags out with white tissue under the tree and put the real gifts for people in the back, so if they open one of the pretend gifts–or pull the tissue out, it’s no biggy! These are last years bag, and lacking tissue because I just bought it last night! 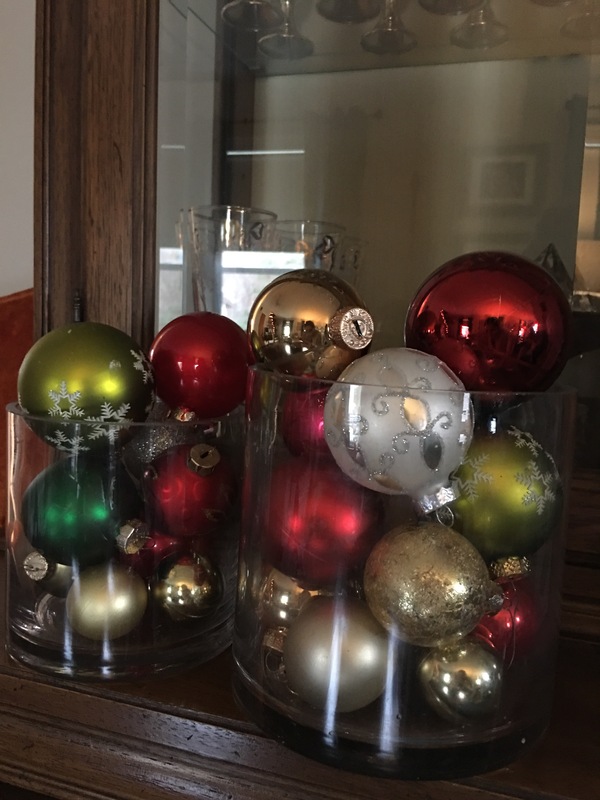 If you have extra ornaments throw them into a few wide cylinder VaseS to add some color around the room! More hacks?! 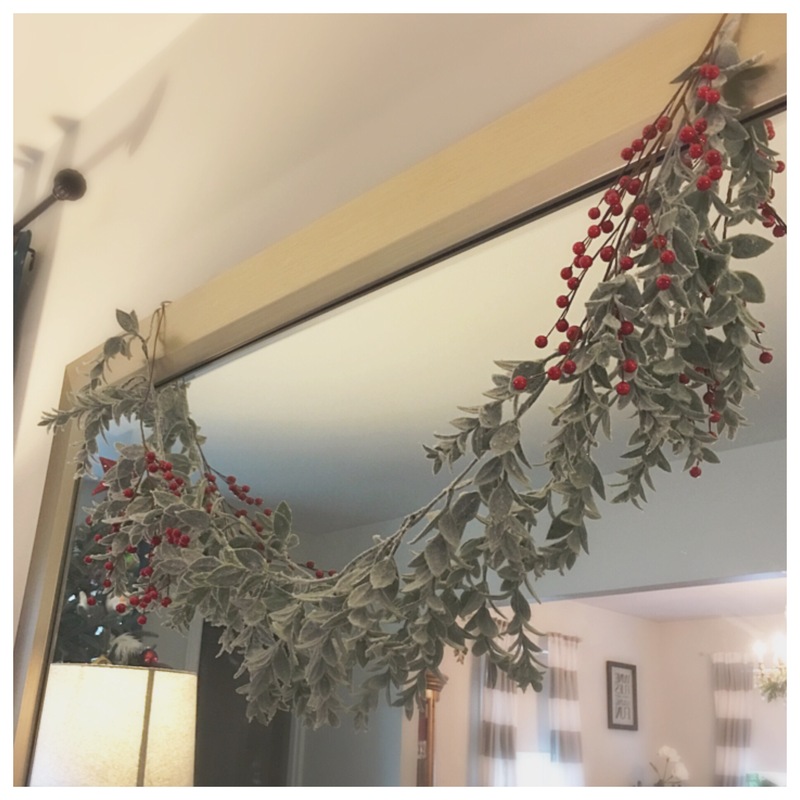 If you had your tree cut down this year, or ever tagged one-have them chop a little more off of the bottom when you pick it up and now you’ve got REAL material for homemade wreaths and garlands! Layer your tablecloths! Red under, lace over! This mirror swag is brought to you buy 60% off garland at Jo-Ann’s AND 60% of Berry twigs! Instant elegance! More flowers! TRADER JOE’s BABY!